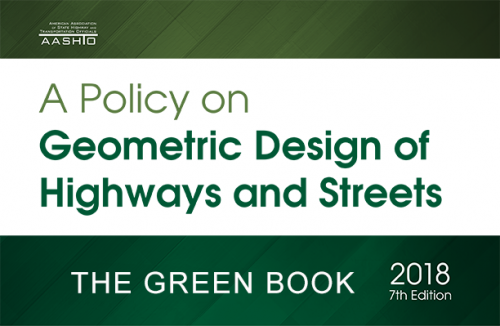 The American Association of State Highway and Transportation Officials recently released the 7th edition of its “Policy on Geometric Design of Highways and Streets” manual – commonly referred to as the “Green Book” – which is considered by many to be the pre-eminent industry guide to current highway and street design research and practices. The group noted that not only are “traditional” functional classifications for roadways – such as local roads and streets, collectors, arterials, and freeways – contained within the Green Book, but so is an expanded set of new “contextual” classifications – such as rural, rural town, suburban, urban, and urban core – that will help better guide geometric design efforts. On top of that, AASHTO said the first chapter of the new manual – entitled “New Framework for Geometric Design” – also introduces a “new approach” in terms of how functional and context classifications can be used together to create more “flexible and performance-based” designs for new projects as well as for existing roads. The “Green Book” is available to order in hard copy or as a downloadable PDF from the AASHTO Store at: https://store.transportation.org/item/collectiondetail/180. It can also be ordered at a discounted rate when purchased in a set that includes both the hard copy and downloadable PDF versions, the group noted.